Home New Product Vandy Vape BSKR MTL Starter Kit Preview- Berserker Nic Salts Vape Pen! Vandy Vape BSKR MTL Starter Kit Preview- Berserker Nic Salts Vape Pen! Wow this has come out of the blue – the Vandy Vape BSKR MTL Starter Kit! I’m sure this is the first starter vape pen style kit Vandy Vape have made? Following on from the success of the Berserker MTL RTA and MTL RDA there is now a stock coil head version which comes with a handy pen style mod! The mod has an internal 1100mAh battery and you can select from constant voltage mode (output is regulated to keep it constant) or Bypass mode (where the full battery power is always available but can reduce as battery life drops). You select which output mode you want from the fire button and the LED light tells you which mode you are in. The tank is the Vandy Vape Berserker MTL Subtank and there are some different coil head options to choose from. The kit includes the 1.5ohm and 1.8ohm versions. I am not sure if there will be more added to the range. The coil is apparently mounted horizontally in the coil head. On the base of the tank are the airflow adjustment holes, there are 5 hole sizes to choose from and if you see the chart below it tells you a guide of what would be the best adjustment for the strength of e-liquid you are using. This tank is designed to be a low power usage tank for nicotine salt e-liquid so you still get a great throat hit and nic hit but at lower power. There are 10 colours to choose from – Matte Black, Stainless Steel, Gun Metal, Gold, Rainbow, White, Blue, Red, Green and Purple. Just wow – I really didn’t expect this kit from Vandy Vape! If this follows the tradition of the excellent Berserker range this kit could be a winner! Will you be buying the Vandy Vape BSKR MTL Starter Kit? Let me know in the comments below! 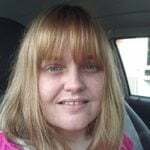 My name is Michelle - I am 43 and an engineer and Technical Author by trade. I started vaping many years ago in the days of Tornado tanks, Ego batteries and Variable Voltage. My journey in vaping began again last year and have started to move up in the shiny shiny gadget department and love vaping! I have finally stopped smoking as of February 2018 and that is all thanks to vaping! I am a huge dog lover and volunteer for my local dog rescue. Asmodus Minikin 3S Kit Preview – Minikin Fans Rejoice! AFK Studio Vape Bracelet Preview – Whatever Next?!?! Vandy Vape BSKR V1.5 Mini MTL RTA Review – Does Size Matter? Joyetech Exceed Grip Preview – Hold On Tight! Voopoo Drag Nano Pod Kit Preview – Vaping Jewellery? Aspire Reax Mini Kit Preview – Looks Quite “Cube-y”! Whenever I have had devices which give you a choice between constant output or bypass I have tended to use the constant output really. The Bypass always seemed to be over powerful when the battery was fully charged and then as the charge level dropped often the vape output would drop too. I havent tried the BSKR sadly but you are right – the image on my article was taken from the Vandy Vape website and looking now they have changed the image to show the opposite way around – I will update that now – I missed them changing that!